VP to Cristina Fernández de Kirchner detained on charges including money-laundering and hiding undeclared assets. 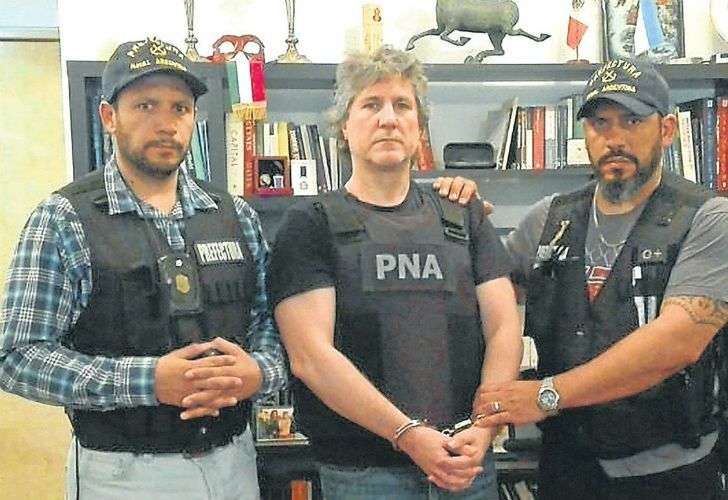 Former vice-president Amado Boudou was arrested yesterday morning in Puerto Madero. Foto:Cedoc. It wasn’t clear whether he saw it coming, or if he was just half-asleep. A little before 9am on Friday, members of the Naval Prefecture knocked on Amado Boudou’s door. He received them in jogging bottoms and without shoes, leaked video footage shows, only to be handcuffed, read his rights, and taken to Comodoro Py courthouse. Boudou, Argentina’s vicepresident under Cristina Fernández de Kirchner and one of the most graphic incarnations of ambition from the heydays of Kirchnerismo, was taken into custody yesterday after Federal Judge Ariel Lijo ordered his arrest in a case initially brought in 2012, after concluding there was sufficient proof that Boudou had “profited in an unjustified manner” and that the former vice-president could interfere with the investigation into alleged wrongdoing. The case file stated that there were “large inconsistencies” in his tax returns. Boudou is accused of racketeering, mentioned as the boss of an illicit association that laundered 4,238,900 pesos and US$995,000 from 2009, when he became economy minister, to 2015, when he left the office of the Vice-Presidency. “[Boudou] had been enriched unjustifiably during the exercise of public duties,” Lijo said yesterday. The judge cited tax return anomalies, the 2010 purchase of a Buenos Aires apartment by his former girlfriend, and the unclear source of tens of thousands of dollars in income. His former girlfriend, Agustina Kämpfer, has been called to testify and will also face money-laundering charges. Boudou’s business partner, José María Nuñez Carmona, was also arrested. The former VP, famous for riding Harley Davidson motorcycles and playing electric guitar on stage during electoral campaigns, has at least four other serious accusations against him. The most troubling is the fraudulent acquisition of Ciccone Calcografica, the only facility in Argentina with the capacity to print legal tender, in 2012. Also involved in most cases is Alejandro Vandenbroele, who has been described by ex-wife Laura Muñoz as Boudou’s ‘frontman.’ Other cases include using insider information to buy sovereign debt ahead of Argentina’s 2010 debt exchange, handouts related to Formosa Province’s 2009 debt restructuring, and the acquisition of 19 luxury cars by the Economy Ministry under his tenure. Boudou’s meteoric rise from middle-class beginnings in Mar del Plata began to materialise a he entered the National Social Security Administration (ANSES) in 1998. A decade later, he directed the ANSES and eliminated the AFJP private pension system. In 2009, he was sworn in as economy minister and in 2011 he became CFK’s veep. His arrest came less than 24 hours after Fernández de Kirchner herself lost a legal appeal against corruption charges, with a high court saying the prosecution’s case against her can go ahead. The federal appeals court upheld a previous ruling that the 64-year-old former head of state must answer charges of criminal association and fraud that stem from her 2007-2015 term in office. Fernández de Kirchner, however, enjoys parliamentary immunity from jail if convicted, having become a senator-elect in polls held last month. She says the charges are politically motivated and has accused the Mauricio Macri administration of seeking to “persecute” her and her former officials. Longtime Kirchnerite figure and former planning minister, Julio de Vido, was arrested just two weeks ago on corruption charges after Congress stripped him of his parliamentary immunity. 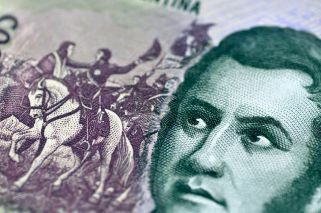 A former deputy public works minister, José López, is also facing charges after being caught by police trying to hide approximately US$9 million in cash in a Buenos Aires convent earlier this year.